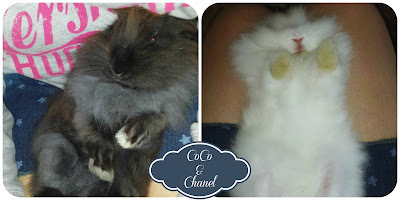 When I rescued CoCo and Chanel, they did not smell good. Their fur was mated from never being brushed, and it had urine matted in it. his dark fur helped mask it. 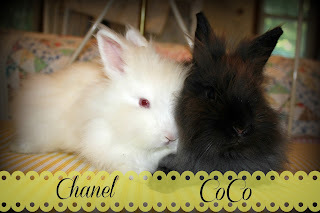 Now, the sad thing is, Coco and Chanel were leftover/rejected Easter presents that had been in a farm store their entire life. Not adopted at Easter, they had been in a tiny cage from March till I found them in September. So, I don’t like the idea of perpetuating the rabbit/pet store trade, but it isn’t their fault that they were in a pet store, and they needed to be cared for. with rabbits, it takes time to help them overcome it. lionhead fur was so matted at her bottom, that her legs weren’t moving correctly. cloth to wipe the urine off her fur. I ended up having to trim her fur where the urine had been on it because it was so stained. After we finished with her, we gave her some treats, and let her run around while we began cleaning CoCo up. were happy. They immediately began running around the room playing with each other. they knew what to do with hay or fresh food. However, they would almost attack me when I filled their pellet dishes. They each had to have their own dish, and this was the only time they ever acted aggressively toward each other. The first thing I learned to do was not have a feeding time. before they started slowing down with their eating habits. They always thought they needed to eat everything in the bowl as quickly as possible, for fear of losing it. So, I started filling their dish completely up, a couple times a day. This didn’t last long, before they realized they would get more food. However, when I approach to fill their dish they would get so excited that they would grab for the cup, and yank it from my hands, scattering food everywhere. and to fill the dish while they ate that. Next, to get them to eat hay, I had to sit with a piece of hay, and hold it to their mouths. They honestly had no idea what it was. Unfortunately, they still don’t eat enough hay, but they will eat some. Fresh food is a constant struggle. They will eat a carrot, some apple, and some romaine lettuce/mixed with herbs. If I take anything new to them, they will turn their cute little noses up. 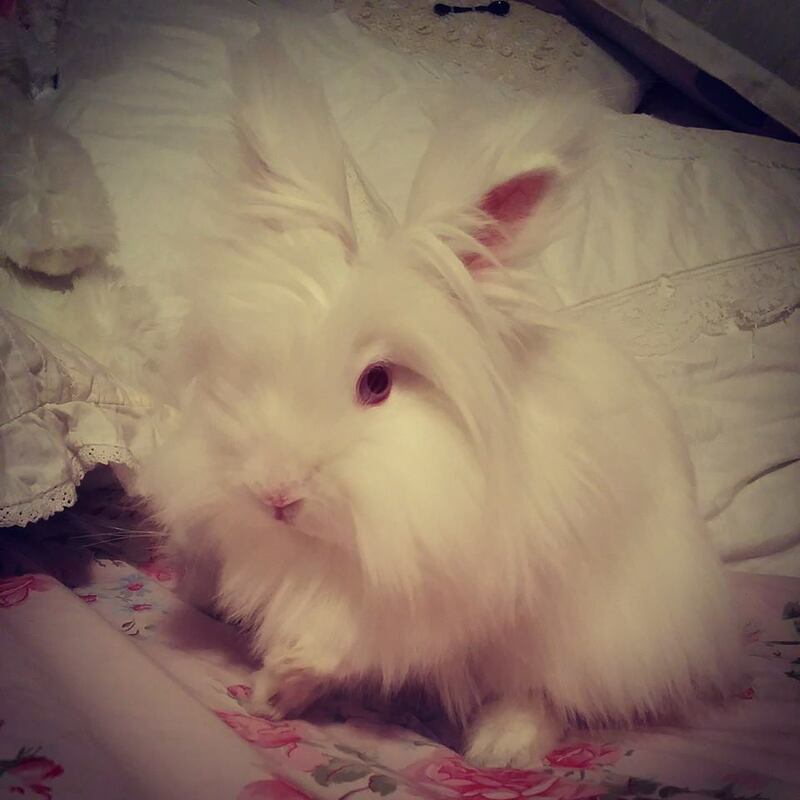 does not like to be groomed. I quickly discovered that these rabbits actually like to be on their backs. They like to have their belly rubbed, and it seems to soothe them when they are stressed. 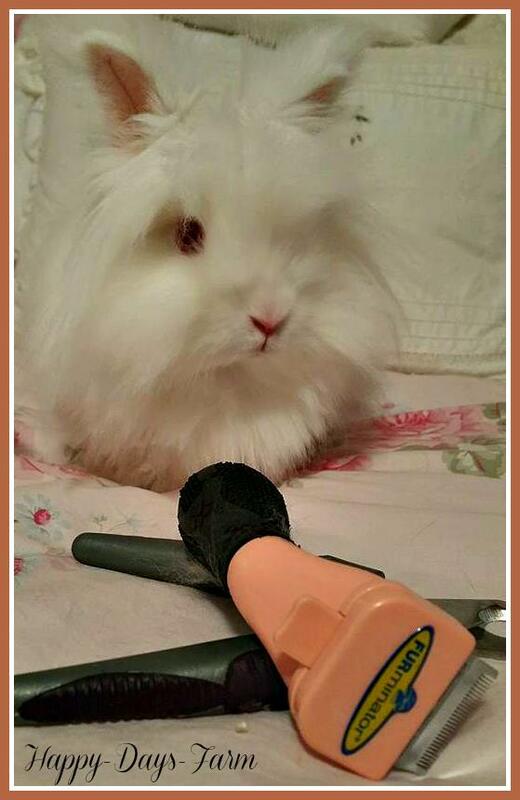 It also makes brushing and nail trimming much easier. So, I don’t leave them on their backs for a long time, but since they do like it, I will do it for the purpose of calming them, brushing them, and trimming their nails. Again, neither of these rabbits are ‘tranced.’ I would not recommend doing this if the rabbit fights it at all. 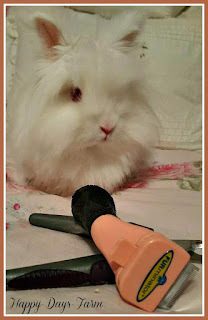 It is very easy to break a rabbits back. 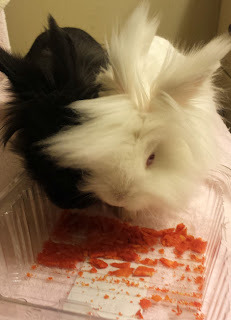 However, these bunnies prefer this, so, I don’t fight it. 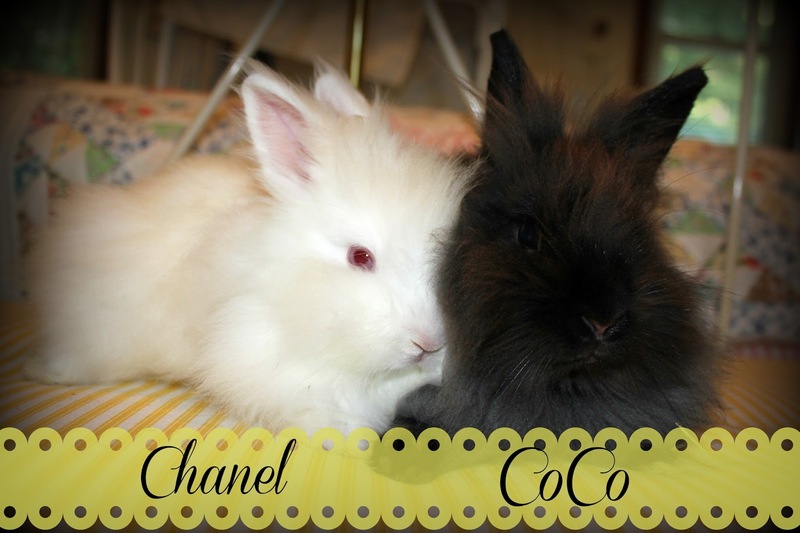 I took Coco and Chanel spontaneously, with no preparation, no cage waiting, and no experience with rescues. They put them both in a small cardboard box, together, and we began the drive home. #1. It is miraculous that they didn’t fight in the small box. #3. I was able to get a single cage set up as soon as I got home. I put it in a spare bathroom, on a stand in the bathtub. They had plenty of room to run and play for the first time in their life, and even jump into the tub and nap under their cage. They had spent their entire first six months of life in a tiny cage, on a wire floor. #4. They have never been confined to their cage. #5. They only have one litter box, but two food dishes. #6. They absolutely love dried chamomile. This has the added benefit of calming them greatly. 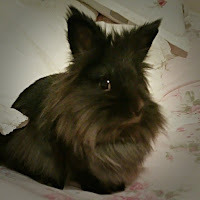 So, my suggestion for rescuing rabbits is to do as much research as you can if you have the chance. Then, feel your way through it. There is no set formula, everything I said here may work, or none of it may work. 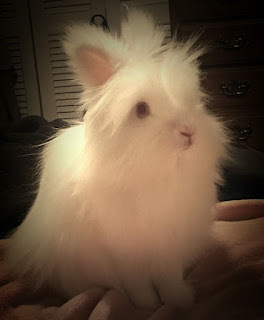 Every rabbit has its’ own unique personality, as well as its’ own preferences. at a time, so it will be easier.